As we get older, people sometimes find that their teeth appear a darker colour. This is a natural aging process which can now often be reversed. It is also a starting point for all cosmetic cases and smile makeovers. Often brides and grooms have it done before their big day. Tooth whitening involves the construction of custom-made, thin, flexible gum shields (whitening trays). These trays are ideally worn during the night with a whitening solution placed inside them. In 99% of cases the teeth will lighten over a period of 12-14 nights. Each tooth may lighten at a slightly different rate, so we review your progress during the whitening process. As the colour change happens slowly it is very controllable and can therefore be stopped as soon as the desired colour change has been achieved. The whitening process used by dentists does not damage or weaken teeth at all. The only downside is, there may be slight increased tooth sensitivity during this process. There are simple ways of treating this which should not prevent people from completing the treatment. Before whitening can be started you will be assessed to make sure that you will benefit from this treatment. The whitening procedure unfortunately does not lighten caps, crowns or fillings, but should you wish to have these coloured matched once the whitening treatment has finished, this can be carried out at an additional fee which will be discussed prior to the commencement of the treatment. Occasionally, some patients with discoloured teeth due to medical reasons may need more than the standard amount of whitening solution but this will be discussed at the assessment appointment. Once the whitening procedure has been completed the teeth will never return to the darker colour again. Some patients do like to top up their whiter smile every couple of years by purchasing a syringe of whitening solution from us. Very few patients need to do this, but some like to. Once teeth are lost, the bone in which they are embedded gradually disappears because it is no longer required to support the teeth. The teeth and lost bone are usually replaced by removable dentures or fixed bridges to restore appearance, speech and aid chewing. An alternative method of tooth replacement is to insert dental implants into the jawbone. These implants are made of pure titanium which in most cases (95-98%) becomes firmly attached to the bone and can be used to support crowns, bridges and dentures. The significant advantages of having teeth replaced by implants are that it is not necessary to grind down adjacent healthy teeth and the presence of the implant prevents the bone from shrinking away. Implants can also be used to secure and stabilise dentures, which makes them more tolerable and gives the patient confidence. The total treatment time required will vary with the degree of difficulty and the amount of work needed. It is important to bear in mind that the teeth have to be made individually to suit your specific requirements and mouth. This type of precision work is very time-consuming and cannot be rushed, as it must be of the highest quality. 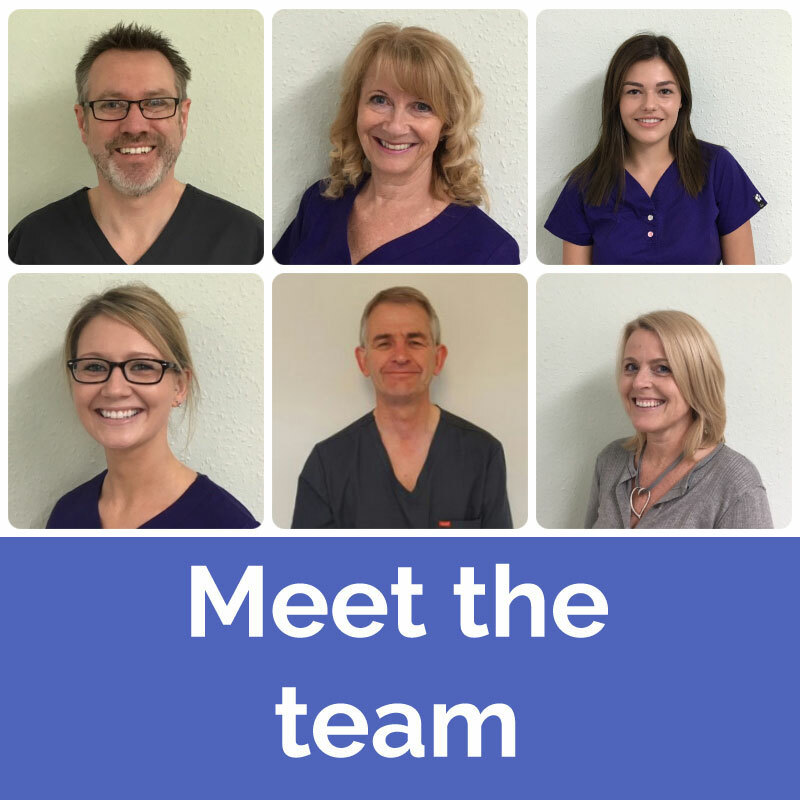 We recommend that all of our patients have regular appointments with Lucy to help prevent the onset of gum disease or to slow down existing gum disease. Patients who smoke are more at risk of gum disease and Lucy is now a trained smoking cessation counselor to help those who want to give up.